In continuation of our series on mistakes that could make your applications be returned or rejected, this article will discuss issues that could cause your The biggest mistake applicants make is applying with a criminal record. If you have any type of criminal conviction, there is almost no chance that you will be accepted for a FAST card. The reason for this is, if you have almost any kind of criminal record, you are what’s called “inadmissible” to Canada. This means that because of your criminal history, you are not allowed to enter the country. If you do have problems with inadmissibility to Canada or the US, you can apply for Criminal Rehabilitation, a Temporary Resident Permit (TRP), or US Waiver. However, even if you overcome your inadmissibility, you will still most likely be rejected for a FAST card. The other most common reason that FAST card applications are refused is that you are a naturalized US or Canadian citizen, but you have been a citizen for fewer than three years. If you were born in a country other than Canada or the US, immigrated there, and then applied for citizenship, the US Department of Homeland Security wants you to be a US or Canadian citizen for a minimum of three years before issuing you a FAST card. 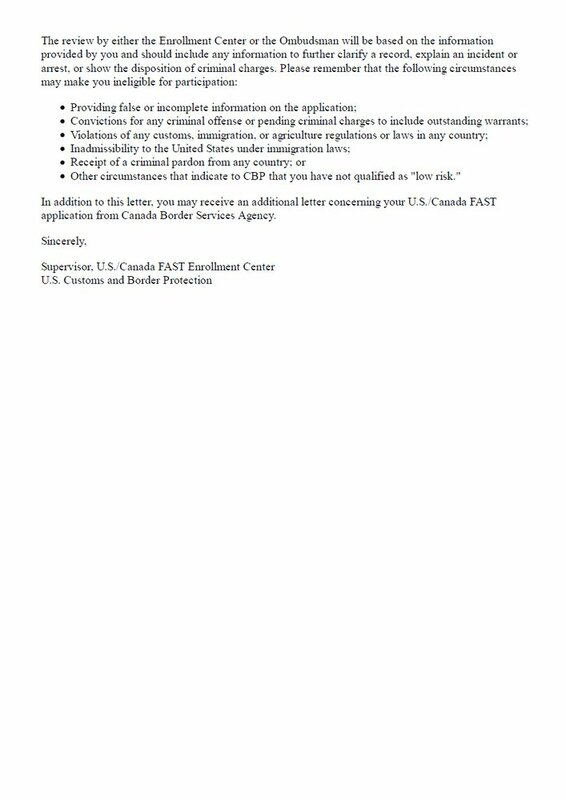 This requirement is not mentioned explicitly on the Canada Border Services Agency (CBSA) or US Department of Homeland Security FAST card websites. However, it is our experience that every Immigroup client who has been a naturalized US or Canadian citizen for fewer than three years has had their application for a FAST card refused. Many applicants also get refused a FAST card at the interview stage because they are not currently employed as commercial drivers. 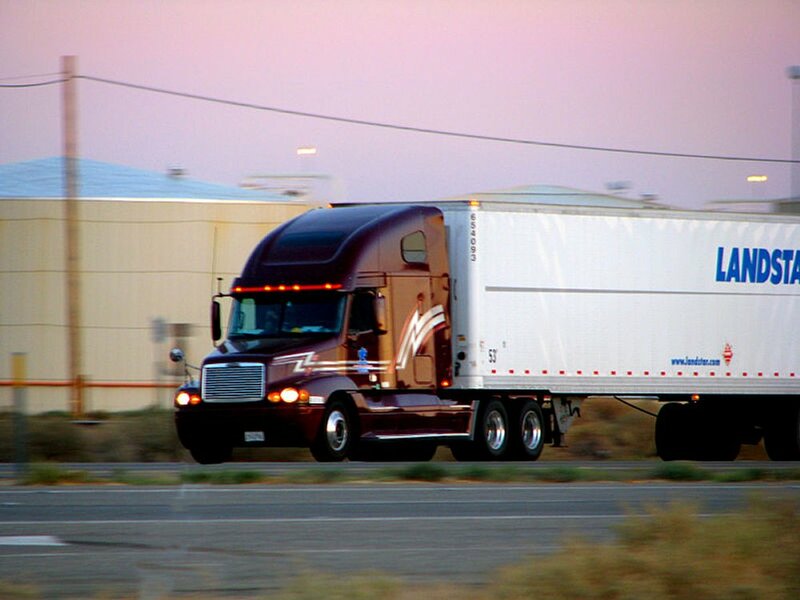 Frequently, companies may want you to already have a FAST card to hire you as a driver. But, the Department of Homeland Security wants you to already be employed as a truck driver to approve your application. This is another tip that is not specifically stated by the government. Another reason for an application to be refused is you have violated immigration laws in the past. This can include overstaying a work permit or visitor visa. US citizens are allowed to stay in Canada as visitors (without a visa) for 6 months. If you stay longer than this without leaving and then returning, you are technically overstaying and breaking immigration laws. The same applies to Canadian citizens visiting the United States – you can stay for 6 months before you need to leave. 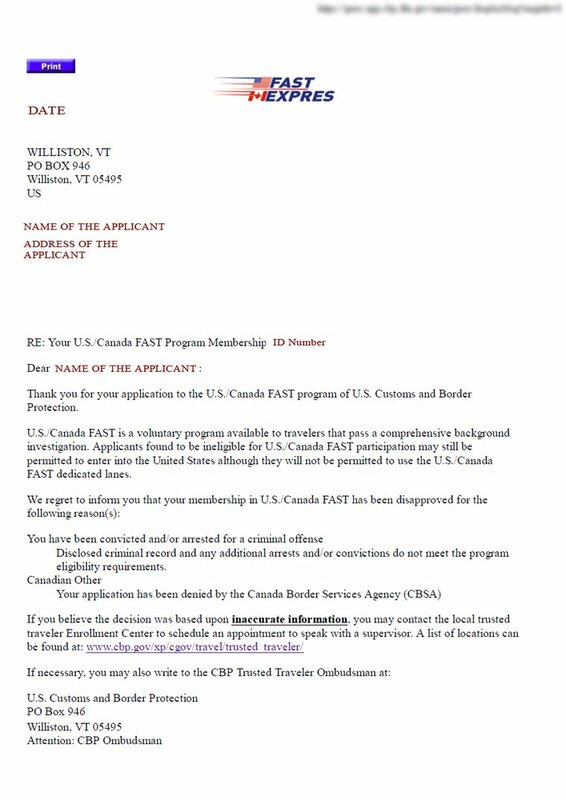 You may think that no one knows when you entered or left the US or Canada, but because these countries share intelligence information, it will likely appear on the background checks for your FAST card application. One additional reason a FAST card application may be refused is that you submitted an application with gaps in your work or address history, or questions that have been left blank, or answered incorrectly. If you use Immigroup to do your FAST card application, we check your forms and documents to make sure that they are filled out correctly so that your application is not returned or rejected. Always double-check that your answers to the questions make sense and are accurate. Have you had a FAST card application rejected for a different reason?